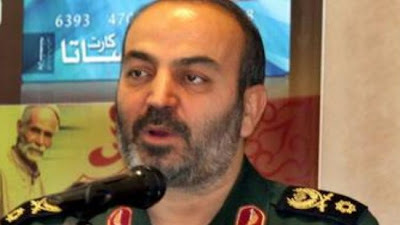 Iran’s Deputy Defense Minister Brig. Gen. Hossein Daqiqi said today in Tehran that evidence indicates that IRGC Brig. Gen. Alireza Asgari, a former deputy defense minister, was kidnapped in 2007 by Mossad, the Israeli intelligence service, while visiting Istanbul with his wife and transferred to Israel. Asgari and his wife were last seen in Istanbul on 7 February 2007, but have since disappeared. It was generally thought that Gen. Asgari had defected to the U.S. and was living in Northern Virginia. Throughout these years, there have been conflicting reports and speculations on his whereabouts and his wellbeing. In 2007, a Kuwaiti newspaper said Asgari provided intelligence for the Israeli attack on Syrian nuclear site. In December 2009, the Iranian Foreign Ministry identified Asgari as one of ten Iranian detainees held by U.S. forces in Iraq. And in December 2010, an Israeli news website reported that an Iranian prisoner had committed suicide in solitary confinement in Israel's Ayalon Prison. Another website later claimed that the prisoner that had committed suicide was Gen. Asgari. LOL! Why can't Mossad kidnap the entire Islamic regime,so that we see the back of them? Empty sloganeering like what Anon 12:04 AM is engaged in, can only show the ineffectiveness of one's argument. sorry, but you can't expect Israel to solve all of Iran's problems. the Iranian people are going to have to rise and shake off the rotten theocracy. I agree with you! I was only jesting.